Otro artículo para estudiar y comprender. Esta relacionado con el trabajo que venimos haciendo en el dojo. Another article to study and understand. Is related to the work we have been doing in the dojo. It is reasonable to say that if 120 lb of mass hits the biggest, strongest man, as one connected, dense mass, with sufficient speed it will be a knock down or make big damage. Well, this is Todome, in karate we study through generations the details and means of how to connect the whole body, increase energy, by using ground reaction, sequencing body segments from the ground up to increase maximal speed and force and hit the opponent as one connected mass and deliver the full force in shortest instant, by being as dense and inelastic as possible at contact. We learn how to produce and deliver force in many directions with many parts of the body. 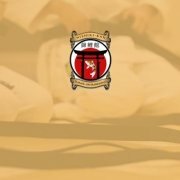 No other martial art have this detailed knowledge of how to systematically develop finish technique to the point that even not so athletic, big or strong person can achieve finishing power. As Sensei Nishiyama used to tell me: “what is the point of having 8 cylinders if we can only use 2, we must use everything we have” or he used to say “in karate you do not need to be Popeye”. Only karate teaches Maai (distance including timing) so systematically, maybe not all karate, but specifically Shotokan and Nishiyama’s karate. 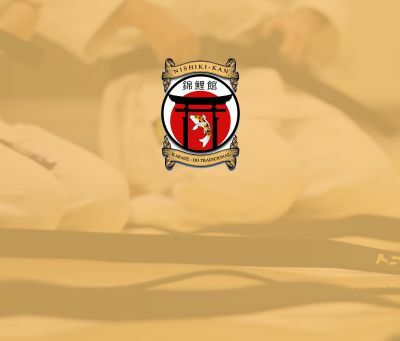 The knowledge of Maai was not very developed in Okinawa and much of the knowledge was borrowed from sword fighting, Sensei Nishiyama was one of the important contributers. You see as long as I am out of the opponent range of power, it does not matter how strong the opponent is, being on the border of opponent territory I can create uncertainty and force opponent to expose themselves by attacking, hesitating, or even just stiffening, and in the right timing, which is when the opponent cannot use power, I enter and attack without meeting, or conflict of power. Weather the opponent wants to hit you or grapple with you they have to close the distance and while they use the technique they expose themselves. Most other striking arts understand timing and distance from experience, not from systematic teaching that can save years. Most grapplers do not understand Maai since most of their training is on grappling and not Maai and how to control the distance and timing of entering the opponent space. I don’t rush to attack, can stay safe, if the chance present itself I will attack, otherwise I will force the opponent to commit and expose themselves. Footwork allows me to control the distance to my advantage and apply technique in perfect timing; it also allows me to start technique quickest, strongest without any back motion, when the chance appear we must capitalize without delay. I have not seen many other martial artists that can start technique quick without back motion Even though many martial arts and sports emphasize footwork, in karate it is taught to a very high level, we learn the concept of Ukimi, suspending the legs using the body center, so the spine and body center are controlling the footwork and making the legs soft and free and footwork effortless. We learn the concept of foot first than body center than power, which makes shifting much faster and technique more effective. If your footwork is not good even a potentially fast person will lose a lot of time and appear as slow.